When one giveaway closes, another one opens! This time care of our lovely friends over at Personalized Accessories. Want to give your dad a personalized keychain this father’s day? Or how about a personalized necklace or ring for your barkada? A personalized name stand for your mom perhaps? Or do you just want a cute acrylic accessory for yourself? Personalized Accessories can give you all this and more! Join my giveaway and be one of the 3 lucky winners of PhP 1000 GC each! Like Personalized Accessories on Facebook and follow them on Twitter. 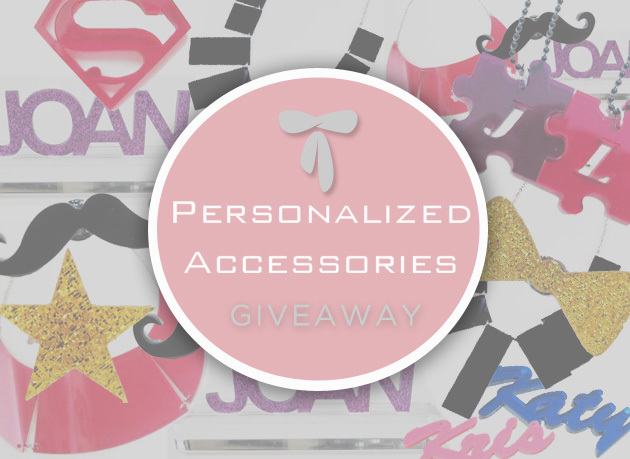 Tweet this: “I want to win personalized accessories at itscamilleco.com! #ItsCamilleCoGiveaways” No need to mention/tag me. This contest is open to international readers as well. Deadline for entries is on June 18, 11:59 PM. No multiple entries please. Winners will be announced via my Twitter. Good luck! Thank you for hosting this give away! sana isa ako s manalo..
<3 God Bless us all!